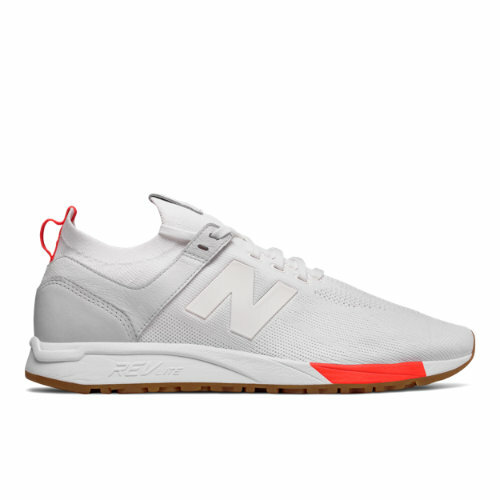 The New Balance 247 Tournament Men's Sport Style Shoes in White / Flame with Performance-inspired REVlite cushioning offers a lightweight ride without minimizing underfoot comfort. Perfection refreshed is a beautiful thing. Behold the 247 Tournament. NB gave this model prime upgrades with a lightweight and breathable mesh upper and comfy bootie construction. The clean lines and heritage-inspired details offer standout style.